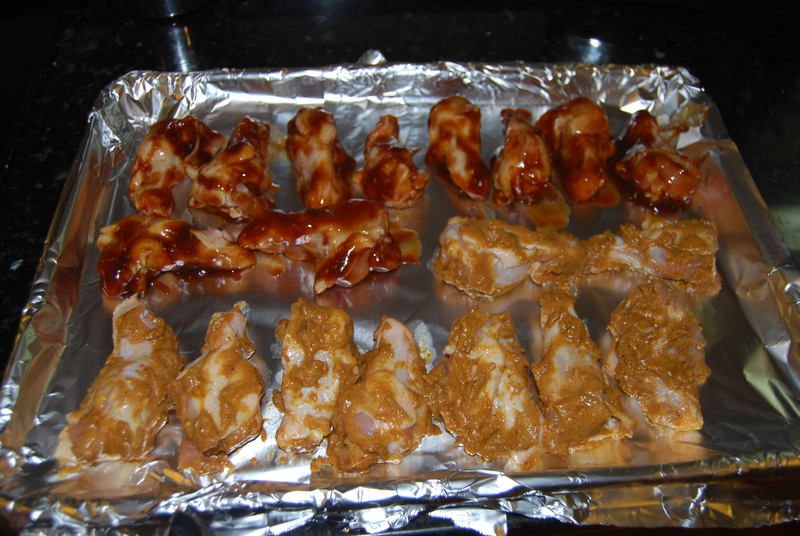 So I spent my college years slinging wings at a mediocre restaurant (no…not Hooters). 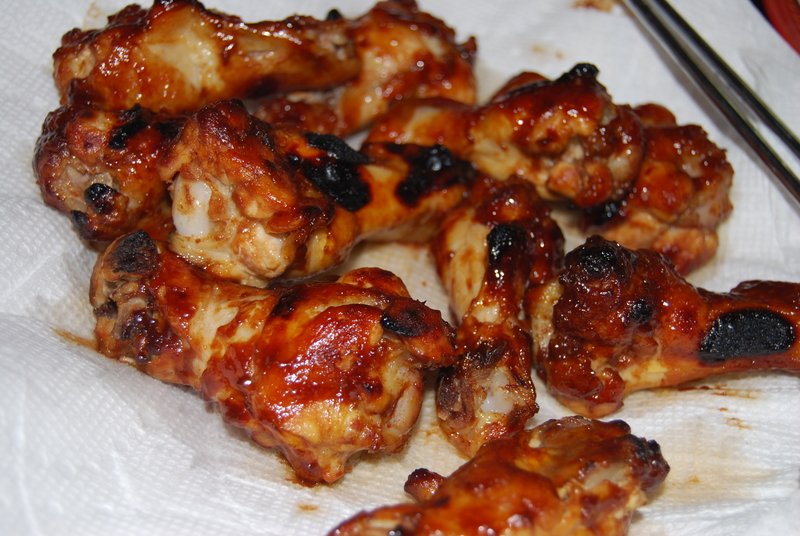 After spending years working there I vowed I would never again eat wings. Then I had kids and I learned the importance of food small enough for tiny hands. So here I am almost 15 years later (hey- I said almost) slinging wings yet again. This is so ridiculously easy. Why would you ever go out and buy these when you can make them at home in 20 min? 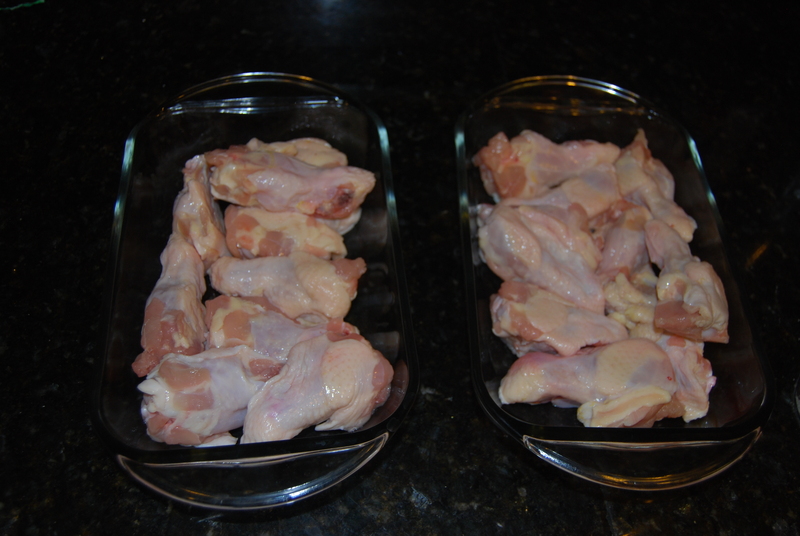 First divide your wings into dishes to marinate. Then cover with the sauces. 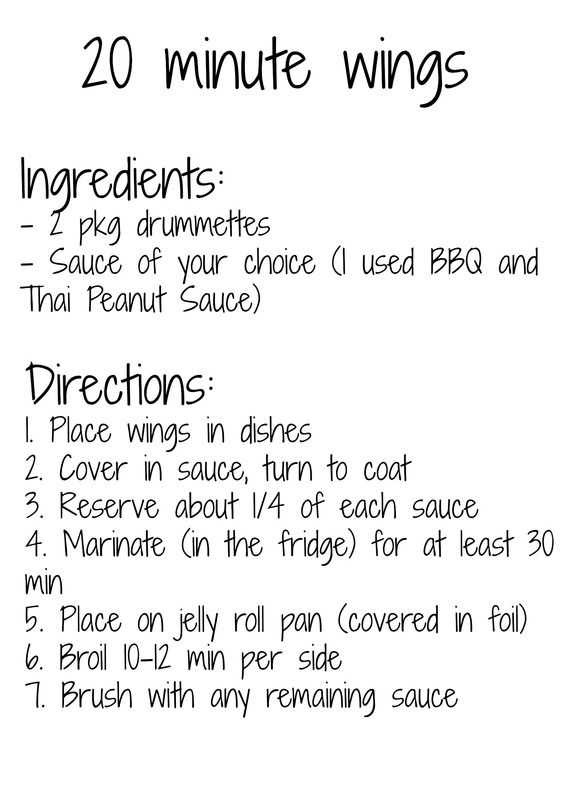 I used BBQ (for the kids) and Thai Peanut (for the adults). Turn to coat all sides and reserve about 1/4 cup to brush with later. 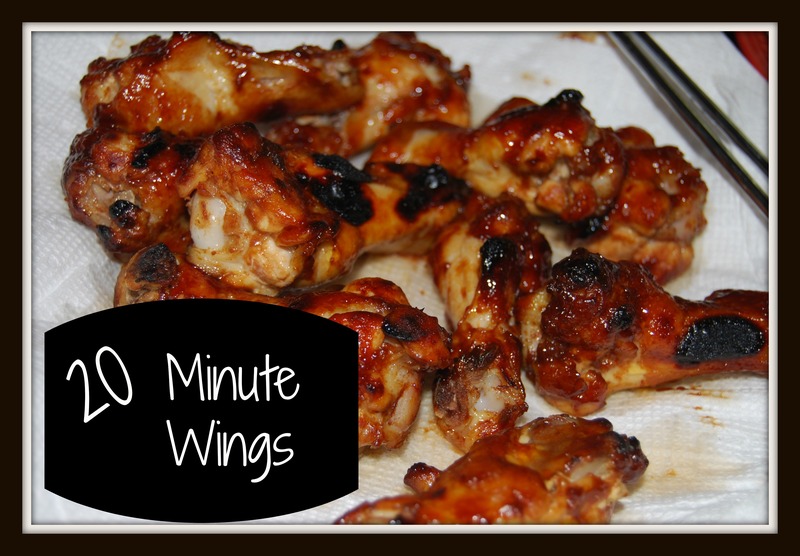 Marinate for at least 30 minutes in the fridge. 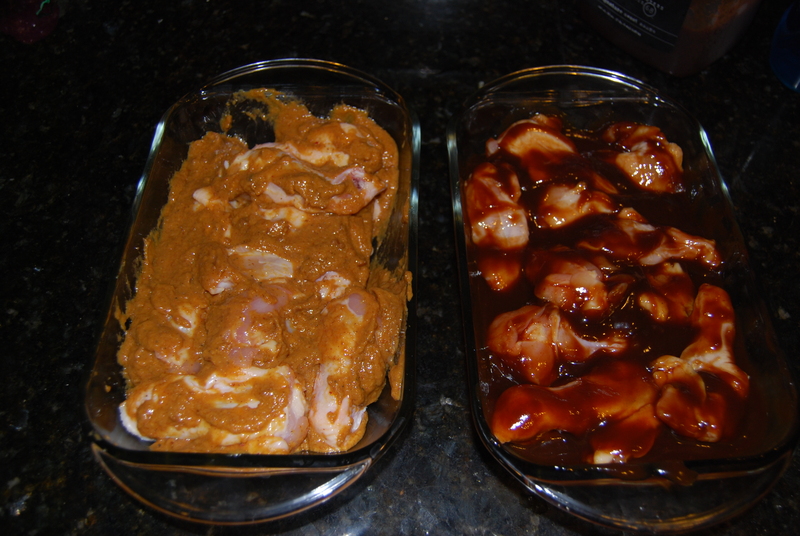 But as always with marinades….the longer the better. Arrange on a jelly roll pan. I always cover my pans with foil so that clean up is super easy. Broil on high for 10-12 minutes per side. Let drain on paper towels and serve. And now you too are qualified to work at one of these quality establishments!